This week�s letter focuses on China�s economy. We�ll look at some numbers showing the challenges China faces, but they don�t explain something important. The way China will meet those challenges is going to be substantially different than we would see in the West. So I want to start with a little context. When European Central Bank President Mario Draghi promised to solve the financial crisis with �whatever it takes,� central bank policy was his only tool. Xi Jinping has a vastly larger toolbox. It is hard for us in the Western world to understand that. Xi not only has every tool a top-down government can have, he has experts to wield them, all of whom are 100% aligned with his goals. I used the �Bull in a China Shop� pun for this letter�s title to create an image in your mind. A bull tears up the proverbial china shop because it can�t comprehend the porcelain is expensive, easily broken, and hard to repair. It perceives the shelves as threats to its own freedom and so tries to escape, destroying them in the process. But that won�t unlock the door, so the bull stays stuck. The Stalin, Mao, and Xi quotes above have a common theme. �� engineers of the human soul.� Mao venerated Stalin, and Stalin�s books sold massively in China. Now Xi Jinping frequently quotes or alludes to Mao and Stalin. �Socialism with Chinese characteristics� has been the case since Deng Xiaoping. However, you must realize this comes with a level of government intrusion unfathomable to us in the West. In the US, we�re debating the data collected by corporations like Facebook and Google. Their Chinese equivalents are encouraged to collect such data and share it with the government. Moreover, in every interview that I have heard, the overwhelming majority of Chinese simply don�t care, at least not publicly. Xi Jinping is intent on having China once again recognized as an equal global superpower and, at some point, even the leader. The Chinese leadership are all students of Chinese history. They know where they came from, and want to regain what they consider their proper place. They are playing a long game�decades long. China is investing at least as much in artificial intelligence, robotics and Big Data as the West is, much of it controlled, directly or indirectly, by the Chinese military. 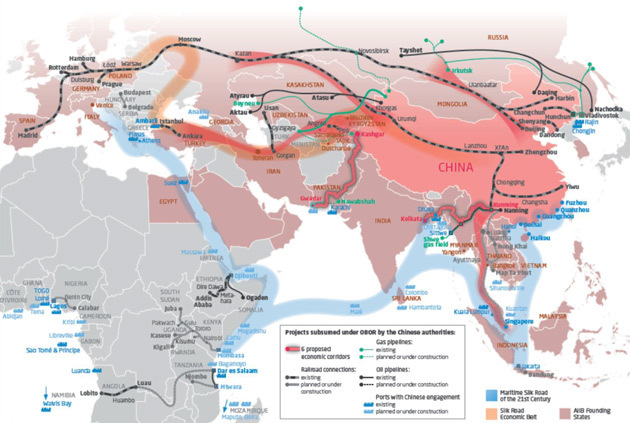 So when US and European military planners get, let�s just say, nervous about China�s growing capabilities, it is not without reason. China fully intends for the Yuan to be a global reserve currency. One requirement for that status is willingness to run trade deficits. It is no accident China�s large trade surpluses are beginning to dwindle. That is a feature, not a bug. It is by design. But China faces numerous challenges, too. Simon Hunt, who has been going to China for 25+ years and knows the country better than any non-Chinese person I�ve ever met, put it this way. I talk often about how big China is and how fast it is growing. 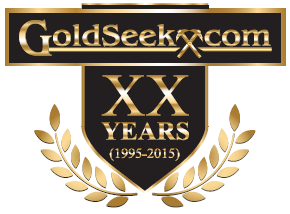 Often I mention it is the world�s second-largest economy after the US. I may have to modify that practice soon. Standard Chartered Bank said this month China will likely become the world�s biggest economy at some point in 2020, using nominal GDP and purchasing power parity. Gentle reader, 2020 is next year. This isn�t the far future. Now, this won�t be the end of the world. It is simply math. GDP growth is a function of the number of workers and their productivity. China has more workers (as in four times more) who are getting more productive. At some point, their large numbers outweigh the higher productivity we have in the US and Europe. This is inevitable. And that rise won�t happen without some hiccups. I noted last week in Something Wicked This Way Comes that the US and Chinese economies are co-dependent in ways we can�t change quickly. Problems in either country will hurt the other, and both currently have problems. The 2008 financial crisis and recession hit China hard, as it did everyone else. Not every country responded like China did, though. Most couldn�t do what China did because they lacked either the financial resources or the political ability. China had both, and so launched a stimulus program of mind-boggling proportions. Beijing compelled local governments and state-owned enterprises to take on massive debt for giant infrastructure projects, huge capacity expansions, and pretty much anything else they could imagine that would put people to work and bolster public confidence. Yes, they built ghost cities. But it�s how they grew that debt I find amazing. We must remember that the Chinese economy is managed from the top down. The Chinese government is very aware of how its shadow banking system operates. Half of the total debt is from the nonfinancial (i.e., shadow banks) sector. 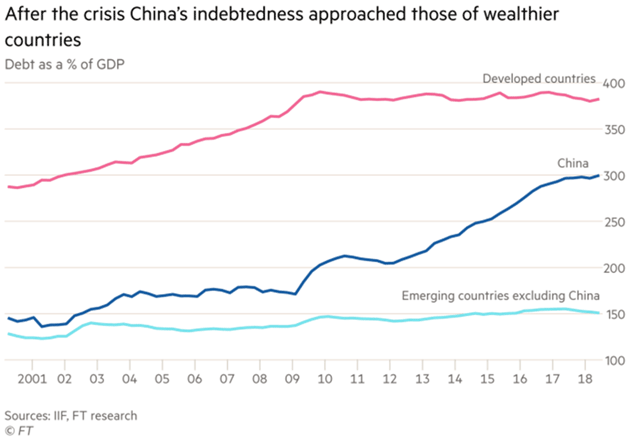 And while Simon Hunt talks about deleveraging, when I talked with him what he really means is that the Chinese government is trying to move from Wild West shadow banking to more traditional bank financing. Central bankers sometimes accompany private bankers to meet loan-seeking businesses. Chinese characteristics, indeed. External debt is no longer a trivial slice of China�s foreign-exchange reserves, which stood at just over $3 trillion at the end of November, little changed from two years earlier. Short-term foreign debt increased to 39 percent of reserves in September, from 26 percent in March 2016. The true picture may be more precarious. China�s external debt was estimated between $3 trillion and $3.5 trillion by Daiwa Capital Markets in an August report. In other words, total foreign liabilities could be understated by as much as $1.5 trillion after accounting for borrowing in financial centres such as Hong Kong, New York, and the Caribbean islands that isn�t included in the official tally. So that�s one problem, but the internal debt is not exactly benign. Yes, a state-dominated economy like China�s can deal with debt in its own currency. It has many ways to extend and pretend. But they have limits and don�t work forever. It has to be worked off. Leverage is fun. It lets you do things you otherwise couldn�t. Deleveraging is the opposite of fun because you must do things you would rather avoid. This is a particular problem for the Chinese government, which must keep a large population fed, housed, and otherwise content. Thus the drive to improve the conditions or move 150 million people from the poverty of rural China to the cities. Beijing has many tricks up its sleeve but China�s labor market has its own dynamic. China�s job market is proving to be an early casualty of the US-China trade conflict. Layoffs in manufacturing accelerated over the second half of 2018 as US tariffs fell into place, and job losses have now matched the pace seen during the economic slowdown of 2015-6. But the situation is arguably worse this time, as the service-sector employers that previously absorbed many laid-off workers are now being squeezed by tighter regulations. 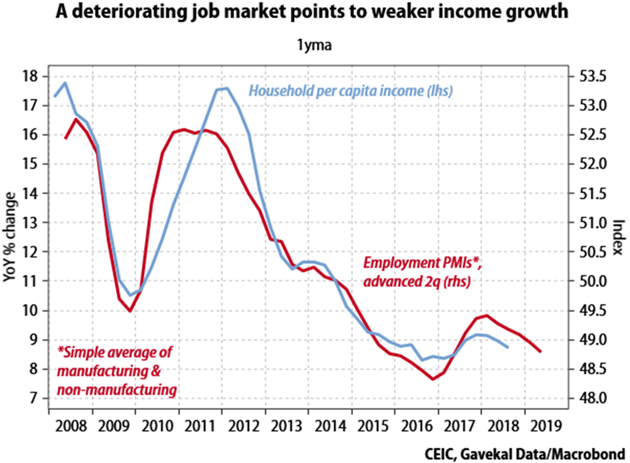 Government officials are trying to adjust and soften policies to help employment, but the outlook for household income and consumer spending in China in 2019 is clearly worsening. Gavekal in their broad-based research found an amazing data point, too. 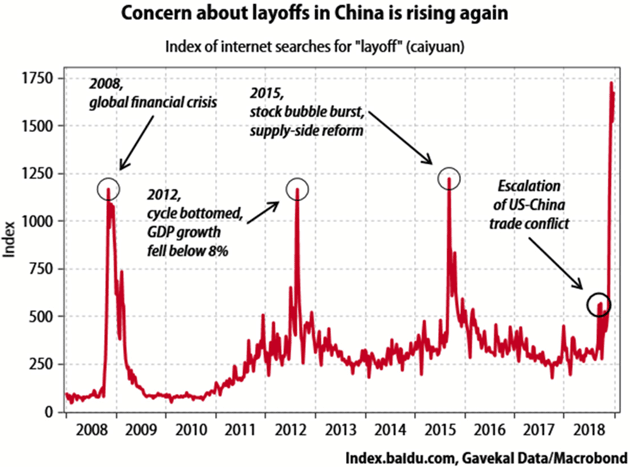 The graph below shows an index of Chinese internet searches for the word �layoff.� Notice where it is now compared to 2008 and other recent economic slowdowns. Now, this doesn�t mean Chinese employers are actually conducting layoffs. It means people are looking for information on the topic, and I think it�s fair to call that a sign of worry. What is causing this concern? Do Chinese workers see something that bullish Western analysts are missing? Economic weakness is relative. Like anything else, coming down from a level to which you are accustomed is hard, even if you land in a place that isn�t so bad in absolute terms. Assuming (for discussion�s sake) the official numbers are right, China�s GDP growth has been around 4% at worst going all the way back to the 1980s, and usually much higher. The US has struggled to achieve anything near that. So a decline from the 6.9% growth seen in 2017 to, say, 6%, is a big deal to the Chinese. And that�s what the government apparently expects. Reuters reported on January 11 that in March the government will announce a 2019 growth target goal in the 6-6.5% range� and China always hits the target. Funny how that works. The problem is, like a medicine to which the body adapts, debt is no longer having the same kind of effect. 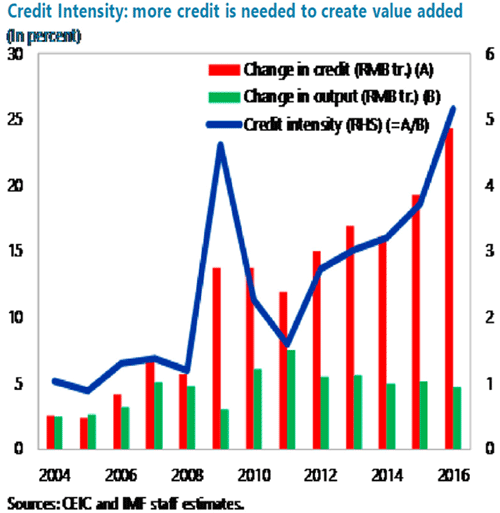 An IMF study last year measured China�s �credit intensity� over time. I�m sorry that picture is fuzzy�it�s that way in the original, too. Here is how they explain it. I bolded the important part. 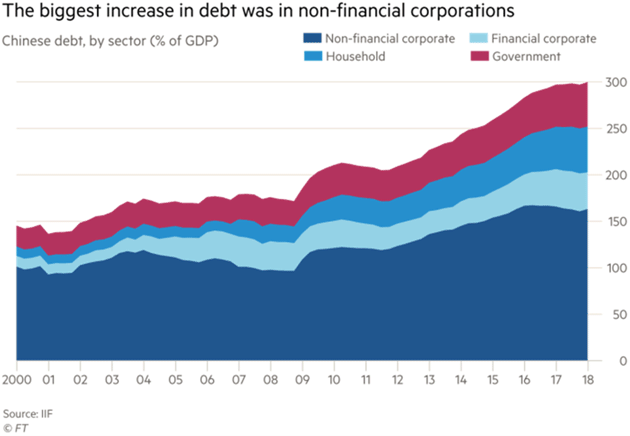 However, over the last five years, domestic nominal credit to the nonfinancial sector has more than doubled, and the domestic nonfinancial sector credit-to-GDP ratio rose to about 235 percent of GDP as of end-2016. 2 During this period, the efficiency of credit expansion has increasingly deteriorated, pointing to growing resource misallocation. In 2007-08, about RMB 6� trillion of new credit was needed to raise nominal GDP by about RMB 5 trillion per year. In 2015-16, it took more than RMB 20 trillion in new credit for the same nominal GDP growth. So in less than a decade, the amount of debt needed to produce a given impact on GDP more than tripled. I�ve cited data from Lacy Hunt showing a similar trend in the US but it�s nowhere near that magnitude. Yes, China hasn�t played fairly in a number of ways. I get that. We have issues and problems that need resolution. Prior efforts haven�t worked. I get that, too. We have national security concerns about China, totally apart from our trade disputes. Granted on all counts. Could we reverse the integration and become less interdependent? Yes, of course. It�s happening already, simply due to technology that is letting production move closer to consumers. That�s a natural process that will continue. Rushing that process, while probably possible, would have a cost. This is one of my greatest short-term fears: that the Trump administration�s hardline tactics will push China into recession, which for them is less than 4% growth. The president himself seems to relish the prospect. He�s talked proudly of the way Chinese markets fell due to his policies. Maybe he thinks the threats will make Xi back down. I don�t think they will. We are pursuing a high-risk policy that will have massively negative consequences if it fails. I titled this letter �Bull in the China Shop� because that is what we need to avoid. Running around breaking things may be satisfying in the moment, but the cleanup isn�t fun at all. Next week I go to Tampa Bay for two days, then Baltimore for a few hours, then New York on Sunday, and then back to Palm Beach the following Tuesday. My schedule has changed so much in the last 24 hours it is really insane. 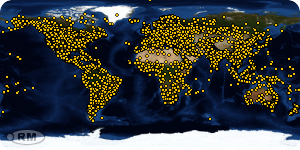 I don�t even want to write about it, much less see that many airports and train stations. But it is what it is, and comes with the territory. I had lunch this week with Harry Dent. He has been in Puerto Rico for several years, and bought property here 20 years ago. I always enjoy my times with Harry and now that we are almost neighbors, there will be more of them. I�m finding that I know many people in Puerto Rico and I�m meeting many more. And Shane loves it. What�s not to like?